Back in November 2011 when the US failed to agree to make the missile defense shield a joint project with Russia, then-President Dmitry Medvedev announced sweeping plans to address what Moscow considered to be a threat to national security. He said he would deploy strike systems in the west and south of the country, as well as station Iskander missiles in the Kaliningrad region in order to counter the risk posed by the European missile defense shield. 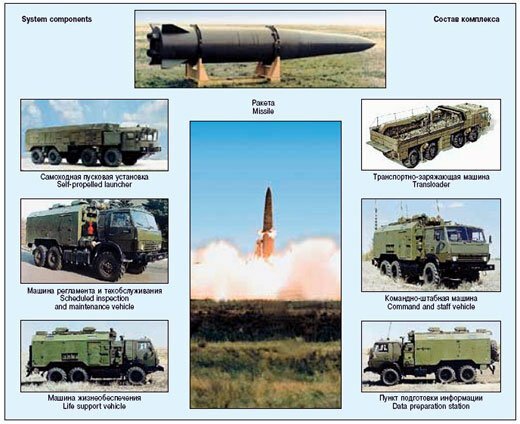 This February Colonel General (three stars) Valery Gerasimov, the Chief of the Russian General Staff, said all Russian missile brigades would be armed with Iskander systems by 2020. Moscow has long been calling for legally-binding guarantees that the missile defense system will not be aimed against Russia, but the US has so far refused to deliver such a promise. For years, the necessity of building the missile defense shield in Europe was justified by the perceived threat from countries like Iran. Moscow had hoped that the US missile system would be withdrawn, since the Iranian deal signed by Tehran and the P5+1 on November 24 in Geneva. Russian Foreign Minister Sergey Lavrov said Iran’s nuclear deal with the West leaves no place for the deployment of the long-touted US missile system in Europe. “If the Iran deal is put into practice, the stated reason for the construction of the defense shield will no longer apply,” Lavrov said in Rome on November 25 (the P5+1 Joint Plan of Action, concluded between Iran and P5+1 member states regarding Tehran’s nuclear program). The settlement of the Iranian nuclear problem will make the deployment of missile defense in Europe unnecessary. “We presume that the solution of problems related to the Iranian nuclear program should lead to a revision of the concept of the U.S. missile defense network in Europe,” Lavrov said during “the Government’s Hour” at the Federation Council on December 18. “In fact, the solution of the Iranian nuclear problem will do away with the premise, which explained the need for the deployment of missile defense in Europe,” he said (3). But NATO officials think otherwise. President Putin has put it clear – all Russian strategic nuclear forces must be invulnerable to any missile defense. Addressing the nation on the Constitution he stressed that with the Iran’s problem settled the missile defense turns into an offensive weapon. Speaking in his annual State of the Nation address on December 12, Putin said that Russia was aware that the US-planned missile defense system in Eastern Europe was defensive only in name and described it as having strategically offensive potential. “The increase by foreign countries of their strategic, high-precision non-nuclear systems potential and boosting missile defense possibilities could ruin earlier reached agreements in the sphere of nuclear arms control and reduction and lead the disruption of the so-called strategic balance,” he said. “No one should have illusions over a possibility of taking military advantage over Russia,” Putin said. “We will never allow this.” Putin noted that the missile shield would “erode” the world’s balance of power. He said that “any international problem can and must be solved through political means”. “Iran’s nuclear program once served as the key reason for deploying missile shields,” Putin said. “And what do we have now? Iran’s nuclear problem is fading, while the missile shield remains in place. Moreover, it is still developing.” At the December 19 annual press-conference Mr. Putin said Russia cannot but to react to the deployment of US weapons are really located in Europe, including missile defense systems. According to him, there is nothing new about deploying the Iskander in the Kaliningrad region. The President emphasized that the final decision is not taken yet but Russia should not be provoked because the Iskander is not the only and not the most effective weapon Russia possesses to defend itself. Earlier at a meeting with Russia’s Defense Minister Shoigu on December 10 he said that the country should upgrade its weaponry to maintain parity with “leading nations actively modernizing their arsenals.” Defense Minister Sergei Shoigu said Russia would pursue deployment of Iskander nuclear missiles in the country’s western-most region Kaliningrad as a reaction to the US missile plans. President Putin has cited the missile shield as one of the reasons Russia must maintain a strong military and has pledged to spend 23 trillion roubles ($700 billion) by 2020 to upgrade defense. Russia has always suspected that the US was deploying not just missile defense systems in Europe, but fully-fledged first strike weapons. “We are well aware of the fact that the missile defense system is only defensive in name, whereas in reality it is an essential element of a strategic offensive potential,” Putin said his address to the Federal Assembly, adding that Russia was “closely following the evolution of the so-called “disarming nuclear strike’ concept” of the US military. Putin said the US program was designed “to upset what is known as the strategic balance of power.” “We are well aware of that. And we know what we need to do about it,” Putin warned. On December 11 Russian Deputy Prime Minister Dmitry Rogozin warned that Russia would use nuclear weapons if it came under attack, adding that this possibility serves as the main deterrent to potential provocateurs and aggressors. Reports about the Iskander deployment to Kaliningrad had been pre-signaled. Russian President Vladimir Putin and other Russian officials have talked about such a move for years emphasizing that it was a necessary countermeasure to the U.S.-led NATO missile defense for Europe. Russia does what it says. There is still time left for NATO to get serious about really tackling the issue instead of expressing surprise and concern over what it had been duly warned about.